Animal rights organization Aussie Farms has created a digital map that includes information of hundreds of farms, feedlots, abattoirs, and other relevant facilities in Australia. 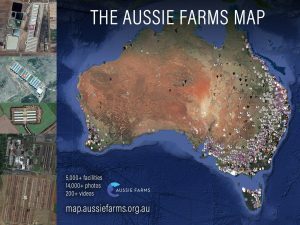 In development for more than eight years, Aussie Farms describes the map as a comprehensive, interactive map of factory farms, slaughterhouses, and other animal exploitation facilities across Australia. The controversial map, which is opposed by the National Farmers Federation siting invasion of its members privacy, features thousands of icons ranging from pigs, eggs, a butcher’s knife, and more. As per the organization, most consumers are still unaware of the reality and sheer scale of everyday, industry-standard animal agriculture. While their marketing campaigns present a different image, practices such as overcrowding and mutilation without anesthetic, are considered acceptable and routine by those who profit from them. The organization claims that the map was developed so that consumers can make informed choices about what they want to support with their purchases.